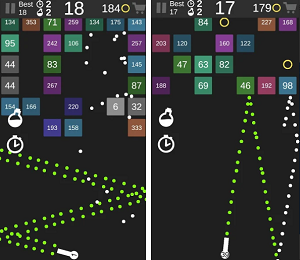 Strategy games are one of most interesting, fun and challenging games you can choose to play on your smartphone. Scrap’ Em is one amazing strategy tower defense game that will get you hooked to playing on your first try while you building and protecting towers and running over aliens with your vehicle. We loved this game so much, we’ve pronounced as Strategy Game of the Week. Read more about it. Scrap 'Em is developed for Android and iOS users that enjoy playing a challenging and yet fun strategy game with exciting defense gameplay. This strategy tower defense game requires you to protect your safe house, build your towers and at the same time use your vehicle to smash over the aliens that want to invade and destroy you. You will enjoy the beautiful graphics with the coolest sounds as you try to strategically think and build your defense, driving around the map to run over the aliens and protect your safe house at all costs. 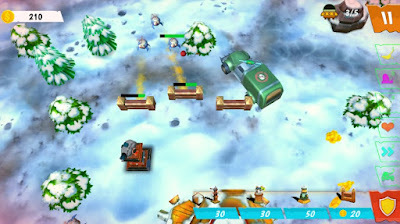 Scrap 'Em begins with the player’s safe house in the map’s center that he needs to protect at all costs with deployment and fortifying of the towers, driving his truck or another vehicle around the map. Placing towers around the citadel is done by dragging them on the map and sending the truck to the map’s problem areas with just tapping on the screen. Players can build multiple towers such as baseball towers to knock out the aliens, gum towers to stop the aliens in their tracks, or mortar towers to blow the aliens off the map and all towers can be upgraded for fortifying of the position, setting fences to control the alien flow around the map. Don’t leave just to the defenses, use your vehicles to smash the aliens, starting with a truck and working your way up. To clear a map, repair a car, to get a motorcycle that drives itself around the map shooting aliens, and getting an energy wave that clears the map or a healing power-up to heal the safe house or defenses use power-ups. Work your way across the forest, ice and desert maps and even test your skills with the endless mode to see how far you can get before the aliens reach you. Download it on Google Play and App Store to protect their safe house and run over the aliens with their vehicles!